Cairo, a modern metropolis surrounded by vast desert, is a buzzing city with amazing historic sites and culture. The 4,000-year-old pyramids are just next door in Giza, and Coptic Cairo and the Citadel are impressive sights. The mornings are quiet, and the city comes to life once the sun has set. Walking around and exploring Cairo at night was my favorite thing to do. Exploring the city and crossing through the streets trying to avoid the Grand Theft Auto like drivers. Watching locals drink shai (tea) and smoking sheesha while playing a serious game of backgammon is an experience you won’t forget. Cairo is a large city with several sites spread around the city. To see Cairo, you will need a minimum of two jam-packed days. The pyramids are a must as well as the Citadel. The souq (Khal al Kalili) is best in the evening (it doesn’t open until noon), and both Islāmic Cairo and Coptic Cairo are neighborhoods that need lots of walking. 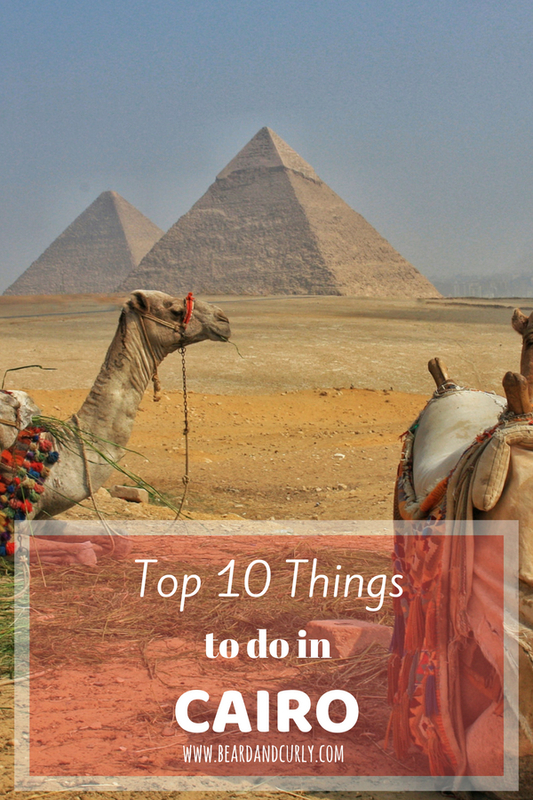 With so many places to visit, we narrowed down the top things to do in Cairo. 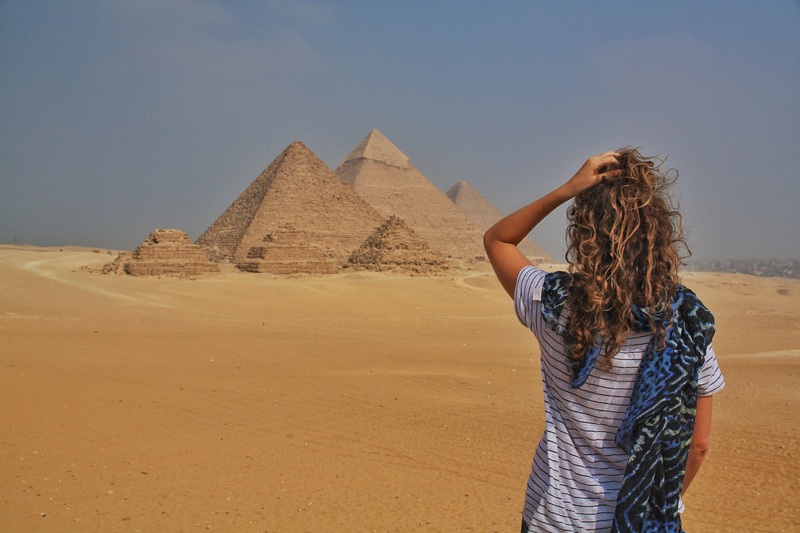 Without a question, the Pyramids are the top site in Egypt, and one of the top sites in the world. The only remaining of the original Seven World Wonders, the Great Pyramids of Giza take you back in time. These 4,000-year-old structures are best seen in the early morning or late afternoon. Tip: There are many vendors at the pyramids. Due to the decrease in tourism, they are desperate. There is a scam where they give a price for the camel ride but then ask for more money to get off the camel. Make sure to negotiate a total price to get ON and OFF the camel. We recommend walking the three main pyramids on foot. We walked to the Sphinx however, it is a lot of walking. If you want to ride a camel, hire one at the Panoramic viewpoint to the Sphinx. The route is extremely beautiful and our favorite place for photo ops. Tip: Another scam is for one of the “vendors” to ask for your ticket. After it is in their hands they will ask for money to give the ticket back. Ask to see their identification and do not ever hand anyone your ticket. Cost: Entry tickets are 80 E£, 40 E£ for students. Camel rides cost 50 E£ for 30 minutes (negotiable). The entire area and Sphinx is included in one ticket. To go inside one of the pyramids, a secondary ticket is required (Great Pyramid 200 £E, 100 £E for students and the smaller pyramids are 40 £E, 20 £E for students). The cluttered Egyptian Museum does a poor job with signage and reading material; however, the rare artifacts are impressive. Rooms have ancient history including hieroglyphics, statues, tombs, ornaments, jewelry, board games, and masonry. And of course the main attraction, the mummy room. 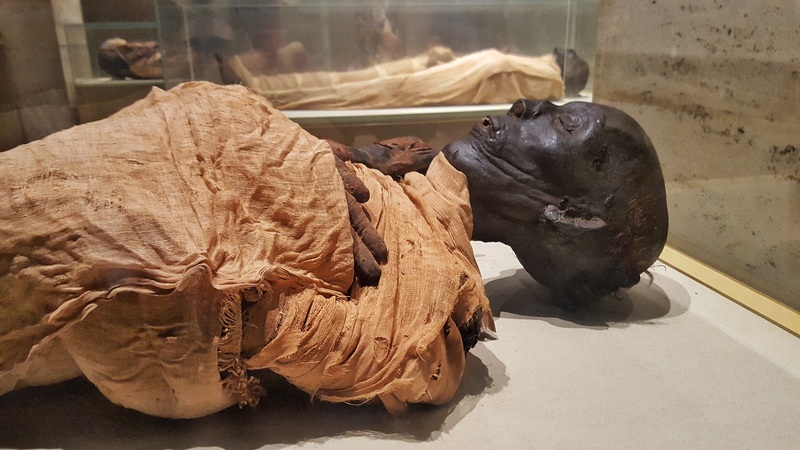 While it adds to the total price, visiting the mummy room is a must. After the museum, take a walk to Tahir square, the center of the 2011 and 2013 revolutions in Egypt. Tip: If you are really on a tight budget like we are, you can split the entrance to the royal mummy rooms between two people. One person can enter one the room and the other person in the other room. Cost: Entry tickets are 75 E£ and 35 E£ for students. Additional tickets for the two royal mummy rooms for 100 E£ or 75 E£ for students. Built in the 10th century as a fortification from the Crusaders, the Citadel held the seat for rulers for nearly 700 years. Mohammed Ali staked claim in the early 1800s and built a stunning and enormous mosque. There are a couple of museums on the grounds that could make this a full day trip, but one to two hours was enough for us. 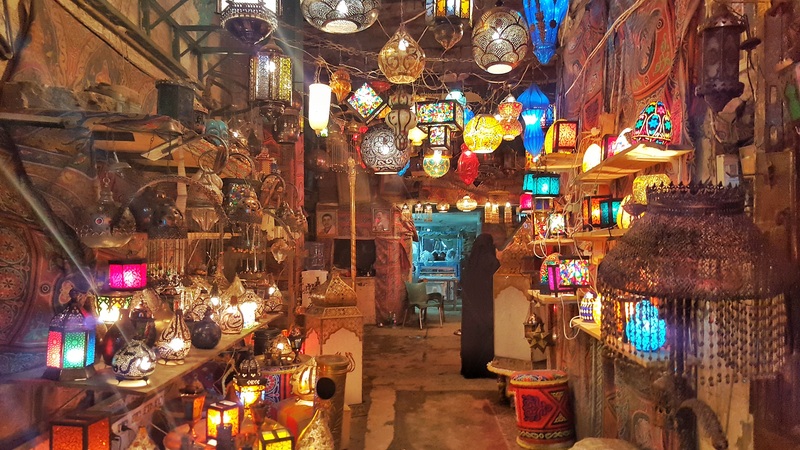 After stops at the Mosque of Mohammed Ali and the Mosque of An-Nasir Mohammed, we recommend walking through Islāmic Cairo en route to the Khan al Kalili Market. From the Citadel, walk to the Al-Azhar Park on the main street in Darb Al Ahmar to Bab Zuweila. Turn right at Bab Zuweila and head to Khan al Kalili. This market is one of the largest in Africa and has literally everything one could imagine. It would be easy to get lost on a hunt for treasures. Quality is always in question here, and according to the slick Egyptian salesmen, everything is handmade. Negotiate hard and never pay more than half their asking price. 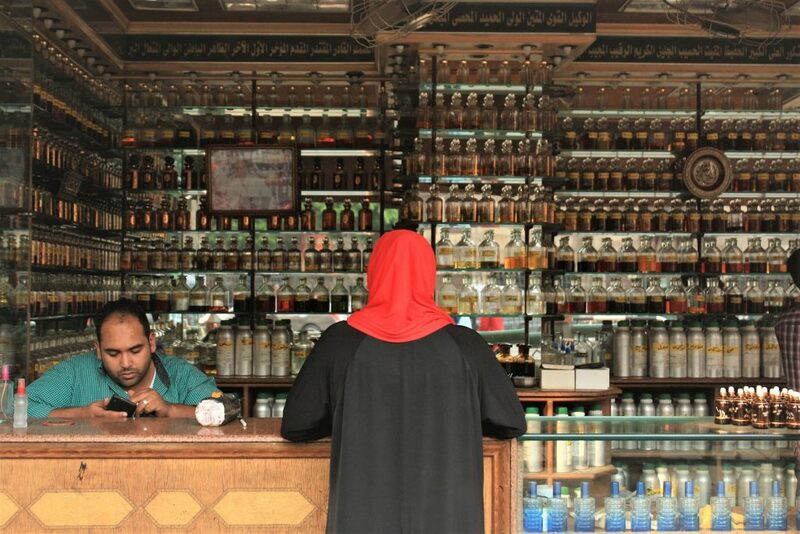 The market is known for specialty products such as gold, perfume, spices, papyrus, and stone art. Top market selections: perfume from Karama (1 E£ per ML, can buy 10ml, 25ml, 75ml and 100ml bottles), personalized books from Abd El Zaher (70-130 E£), the spice market, and traditional papyrus from Sunny Land Papyrus (60-120 E£). 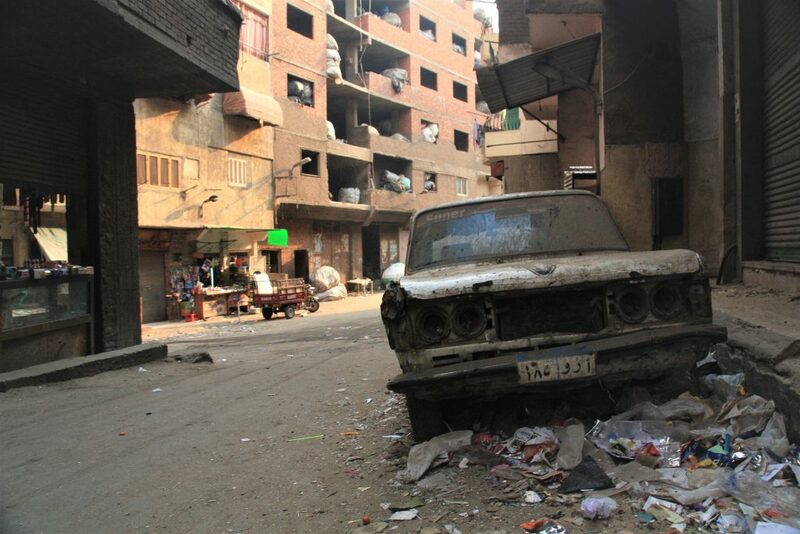 Manshiyat Nasser, a Christian neighborhood in Cairo, is best known as Garbage City. A slum that houses the Zabbaleen, or garbage collectors, this neighborhood is an open-air garbage and recycling center that makes up one of the most different settings in Cairo. Families specialize in metal, paper, plastic bottles, or cans. Nearly 80% of all waste is recycled, supporting each family. This area houses Middle East’s largest church, the Saint Samaan the Tanner Monastery. Taxis will go to the church but are unlikely to drive further into Garbage City. Our driver was not comfortable going into Garbage City claiming it was dangerous. We felt safe, but always take precautions. Walking or hiring a tuk-tuk and guide are the two best options to explore Garbage City. Cost: Taxi to Saint Samaan the Tanner. We recommend hiring a local guide starting from $15 USD. Founded in the 6th century B.C. 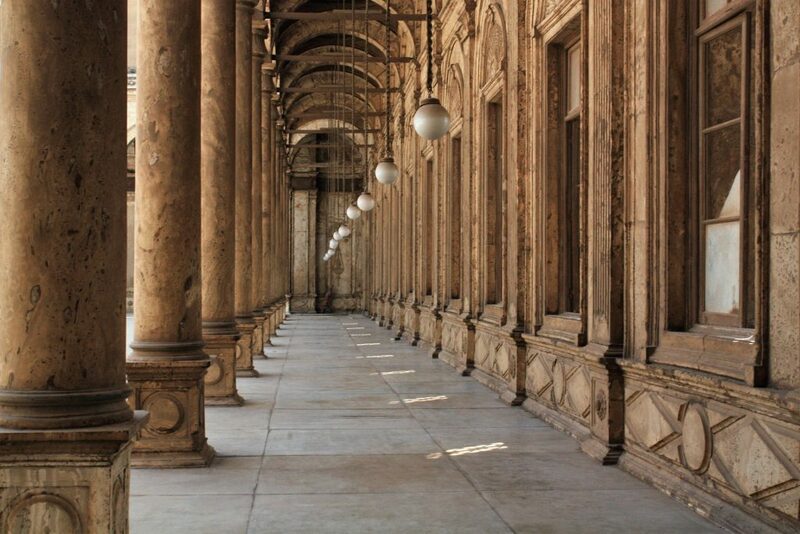 Coptic Cairo is an interesting place to visit. The oldest church, mosque, and synagogue in Egypt are within 1km of each other. Don’t miss the Hanging Church, the Ben Ezra Synagogue, the Mosque of Amr ibn al-As, the Church of St. Sergius and Bacchus, and the Coptic Cemetery. If museums interest you, the Coptic Museum has Coptic art and historic pieces from the earliest days of Christianity within Egypt. Cost: Entry tickets for the Coptic Museum are 40 E£ for adults and 20 E£ for students. 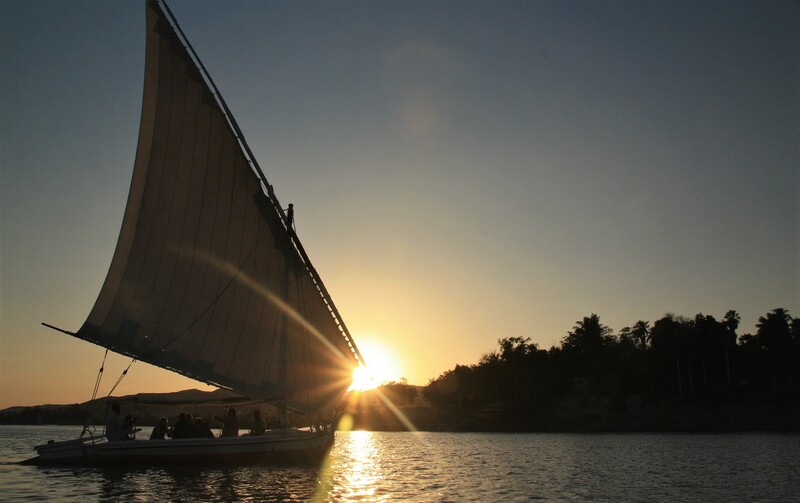 A beautiful way to experience the Nile is to sail on a traditional felucca. The easiest place to hire a felucca is along the water in downtown Cairo or in Maadi. Go out for a few hours during the day or catch an afternoon ride for sunset. Cost: Hire the entire boat for 30 – 40 E£ per hour. Sheesha is a major part of the Egyptian culture. Morning, day, or night, sheesha is available and smoked. Some of the common flavors are mint, lemon, apple, or a combo (watermelon mint was our favorite). Sheesha is available at almost every street corner. The busier the place the better, because quality varies drastically. Make sure the water bubbler is clean with fresh water. 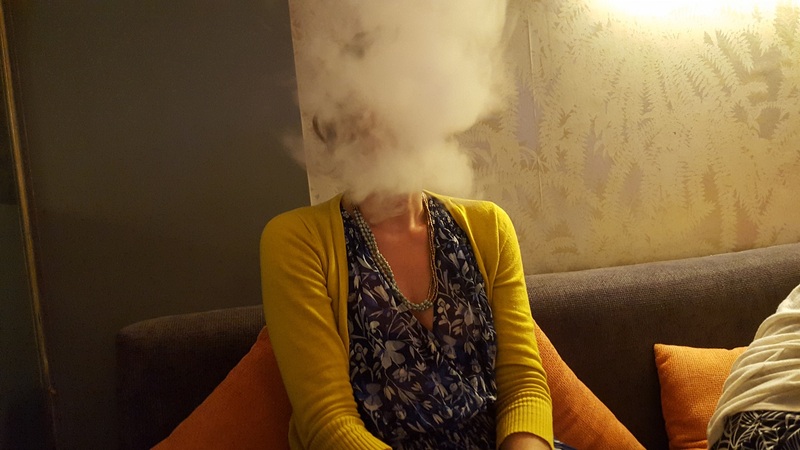 The better sheesha bars or cafes will be attentive and constantly refresh the coals. It is not rude to get their attention and ask for hot coals. If the service is good, leave a small tip in the sheesha tray for the sheesha server. Cost: Prices start at 5 E£ at most cafes and can go up to 20 E£ at some of the fancy sheesha bars. Nothing is tastier than a freshly made falafel sandwich topped with tomato, cucumber, and tahini all for a whopping 2 E£ ($0.11). Street food is available everywhere. Some delicious selections include fowl (beans), falafel, eggplant, shwarma, sausages, fresh bread, and pastries. Street food should cost 1.5 E£ to 3 E£. With tourists, street vendors may start at a higher price. Everything is negotiable in Egypt, even food. Don’t feel embarrassed to ask if the price seems unfair. 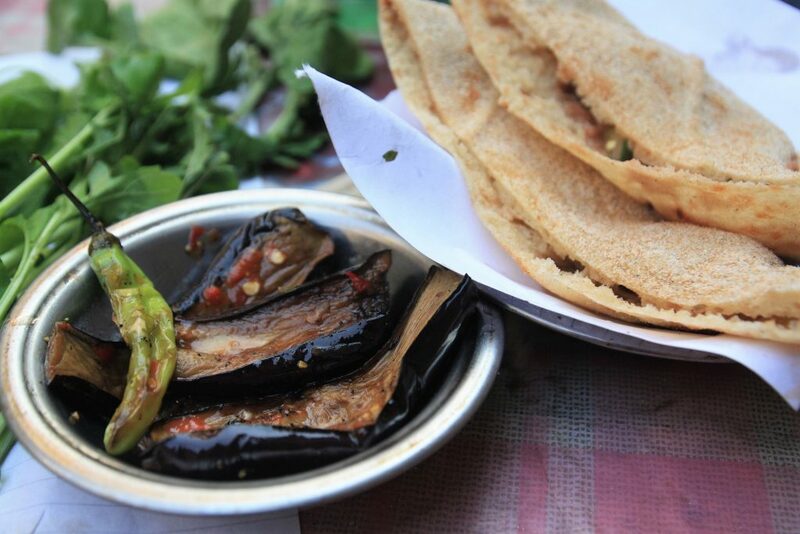 Cost: Street food costs between 1.5 E£ and 3 E£ for one mezze plate or one sandwich. There are many amazing juice bars around town. Locals mostly go for the sugar cane juice, which is very sweet. 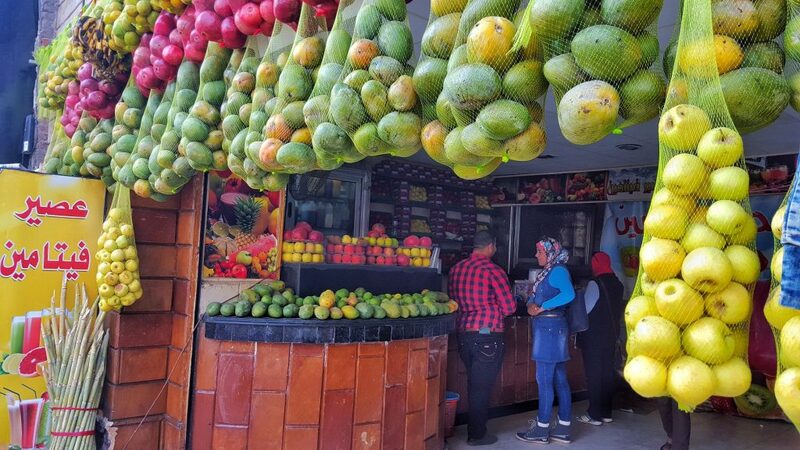 A mix of sugar cane with orange is an excellent choice, or try the tamarind juice or fresh mango juice, a staple in Egypt. Cost: Sugar cane juice costs 1-3 E£. Tamarind juice cost 1 – 3 E£. Most fresh juices (Orange, Apple, Mango, Guava) costs 3 – 8 E£. Sakura Sushi – Sushi in Egypt? Yes! This excellent sushi restaurant offers a full menu as well as an all-you-can-eat option (sushi rolls only). We loved it so much, we went twice! All-you-can-eat is 180 E£ per person. Egyptian Pancake House – Located just off Al Azhar street in the Khan al Kalili market around the corner from El Fishawy café. These pancakes are between a crêpe and a calzone, and are delicious. Pancakes from 50 E£. Koshary Abou Tarek – This downtown establishment may be the best koshary in Egypt. What most consider the national dish, koshary is a combination of macaroni, lentils, and rice mixed with a spicy tomato sauce, chickpeas and crispy fried onions. Koshary starts from 10 E£. 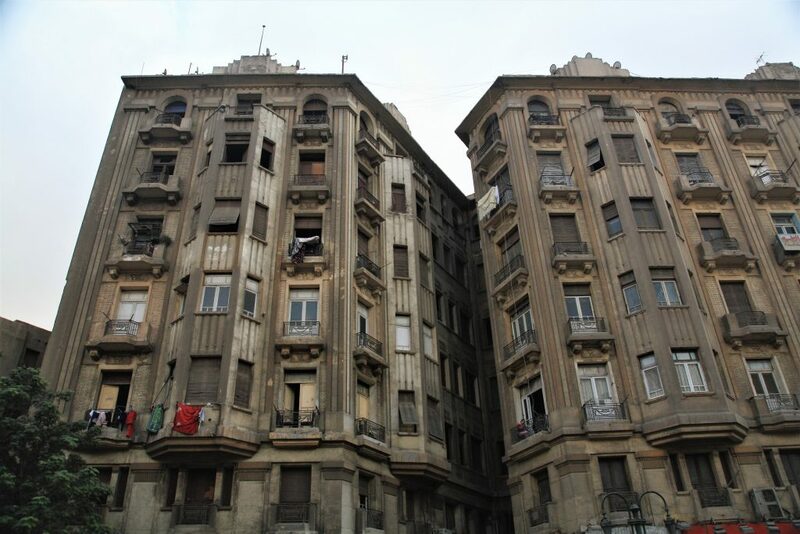 Staying in central Cairo is a good location to walk around and take in all the sights. There are many options for budget backpacker type hostels and guesthouses as well as mid-range hotels near Tahir Square.